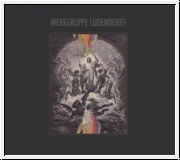 WERKGRUPPE LUDENDORFF, named after a german bunkergroup from WWII, is a young, new german neofolk band that delivers one of the most stunnishing debuts of german neofolk-scene in years. The twelve songs of the album reveal an incredible compositorical maturity as well as great musical skills that could only be found in bands like Forseti, Dies Natalis or early Sonne Hagal. Lyricalwise WERKRGUPPE LUDENDORFF hold up the traditions and values which seem to be lost in modern society, just to name the love for home and nature in general as well as critical and open mind towards current social and political mindsets. Diesen Artikel haben wir am Sonntag, 03. Juli 2016 in unseren Katalog aufgenommen.